Ser Genevieve, lady knight and heir to the Duchy of Teagan, has been chosen as part of the prince's honor guard at his coming out ball - a high honor for a woman who's only been a full-fledged knight for a year. The ball is an opportunity for Genevieve to make a name for herself with a functional chainmail dress of her own design, and maybe a chance for her to properly get to know Duke Avery of Wolvington, a man she's had a quiet crush on for years. 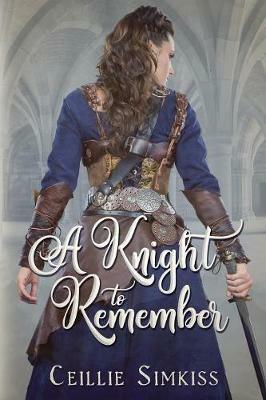 The paths of a gentle blacksmith, a know-it-all nonbinary tailor, and Genevieve's talented witch of a younger sister cross in their determination to make Ser Genevieve a knight to remember.